Dry etch both organic and inorganic materials on substrates. 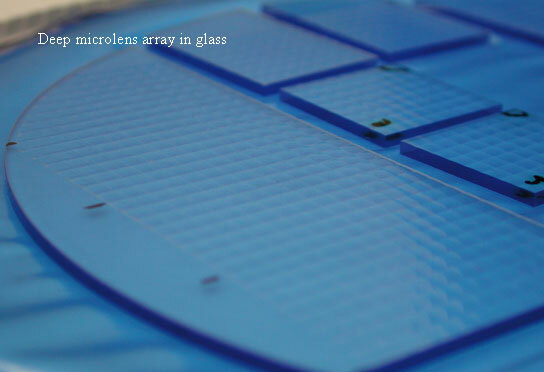 As part of its production repertoire RPC Photonics has the capability to dry etch both organic and inorganic materials on substrates up to about 9 inches (~228mm) in diameter. Special processes are in place, which permit the direct transfer, with high fidelity, of surface relief patterns formed through analog or binary lithography into materials such as fused quartz, fused silica, silicon (Si), and calcium fluoride (CaF2). 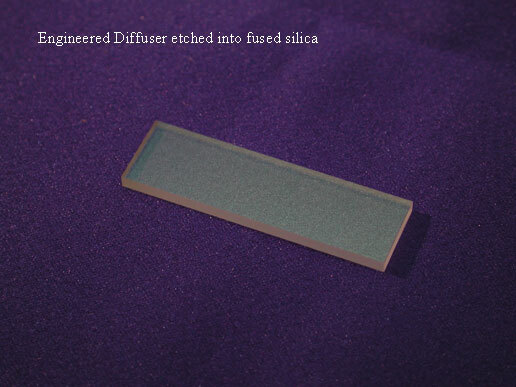 In fused quartz, fused silica and silicon etch features can be formed to depths greater than 120 microns with minimal increase in RMS surface roughness. For applications where photoresist, replication polymers, or plastics prove unstable or otherwise unsuitable, pattern transfer into inorganic materials by dry etching may be a desirable option.